EngineThemes aims to delivers customers all the best experience and solutions through our partnerships. Our motto is “Together we can make a difference” therefore, we partner with many extraordinary companies in WordPress field (maybe even more, wink). Their passions have inspired us and their expertise enables us to do much more than what we can do alone. With experience dating back to 1996, Bluehost is one of the worldwide leaders in providing web hosting solutions. Over one million websites owners trust BlueHost to ensure their websites run efficiently on their secure. Tested and certificated, EngineThemes products run well on BlueHost. EngineThemes Perks: When you sign up via this link and place order on BlueHost site. EngineThemes will refund you 50% your theme order with BlueHost. Click here for more details. Established in 2002, HostGator is a world leading provider of shared, reseller, VPS, and dedicated hosting solutions. Over 7,000,000 websites trust HostGator for their web hosting needs. EngineThemes Perks: You can use the discount code HOSTINGENGINE to “ “Get a penny hosting service” or enter ENGINETHEMES25 take 25 % discount off of total order value. Codeable is the #1 online outsourcing service for WordPress. 98.9% of all tasks on Codeable receive a 5-star rating – in the unlikely event that something does go wrong they are with you 24/7 and also offer a 100% Money-Back Guarantee. 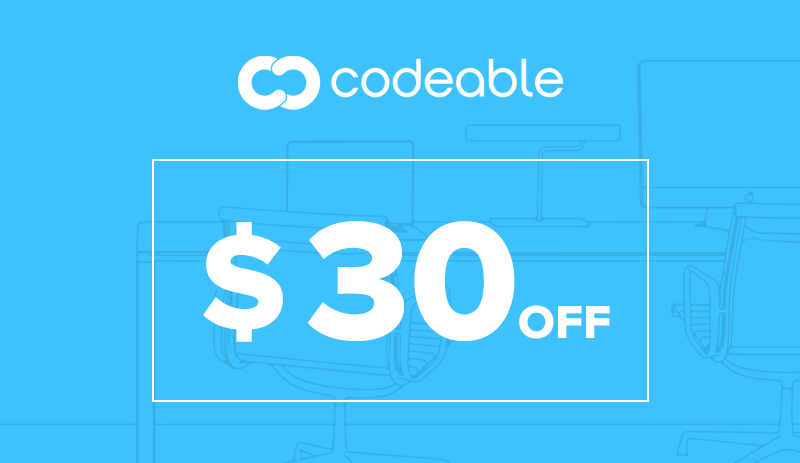 EngineThemes Perks: Receive $30 coupon when sign up via this link! Our DirectoryEngine is now Hero Ready theme. Check out here! 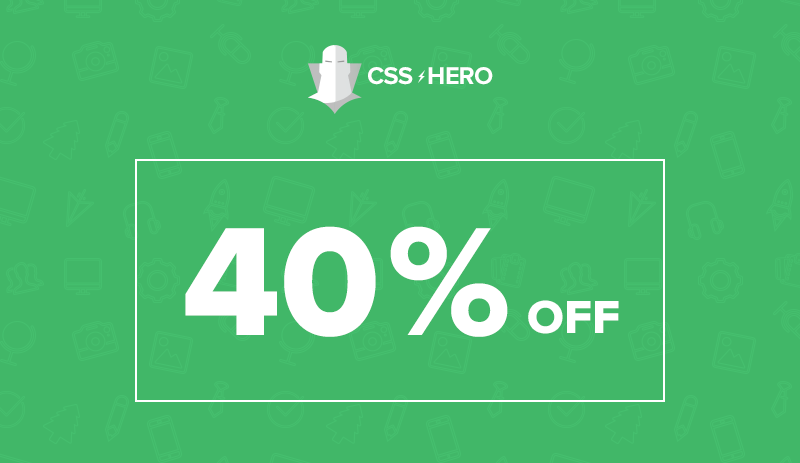 EngineThemes perks: Enter ENGINETHEMES40 to take 40% off of total order value. If you would like to become our partner, please feel free to contact Elena Tran, Marketing Manager at elena@enginethemes.com BlueHost With experience dating back to 1996, Bluehost is one of the worldwide leaders in providing web hosting solutions. Over one million websites owners trust BlueHost to ensure their websites run efficiently on their secure. Tested and certificated, EngineThemes products run well on BlueHost. EngineThemes Perks: When you sign up via this link and place order on BlueHost site. EngineThemes will refund you 50% your theme order with BlueHost. Click here for more details. HostGator Established in 2002, HostGator is a world leading provider of shared, reseller, VPS, and dedicated hosting solutions. Over 7,000,000 websites trust HostGator for their web hosting needs. EngineThemes Perks: You can use the discount code HOSTINGENGINE to “ "Get a penny hosting service" or enter ENGINETHEMES25 take 25 % discount off of total order value. Codeable Codeable is the #1 online outsourcing service for WordPress. 98.9% of all tasks on Codeable receive a 5-star rating – in the unlikely event that something does go wrong they are with you 24/7 and also offer a 100% Money-Back Guarantee. 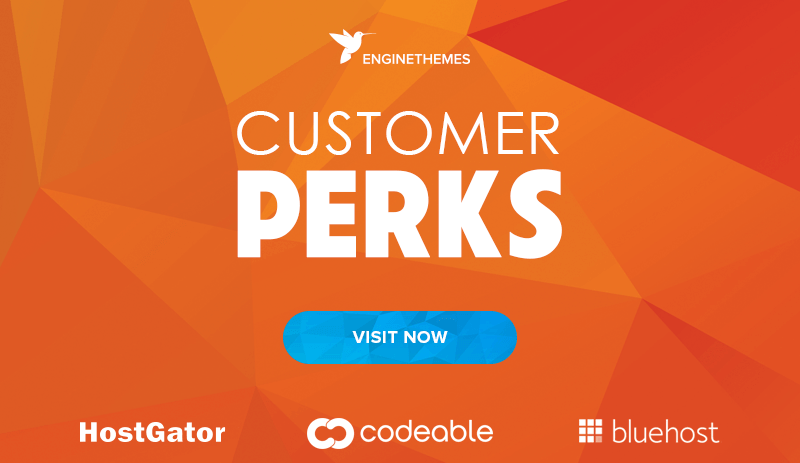 EngineThemes Perks: Receive $30 coupon when sign up via this link!